VISA AND MASTERCARD AT THIS TIME. Take Me Home, Country Roads - Annie's Song - Leaving On A Jet Plane - Thank God I'm A Country Boy - Back Home Again - And Many, Many More!! We are delighted to announce that Paul Aleman will be appearing live here at Luna Lounge in Bucerias on Thursday. March 28th with his hit show - "NO DISGUISES". 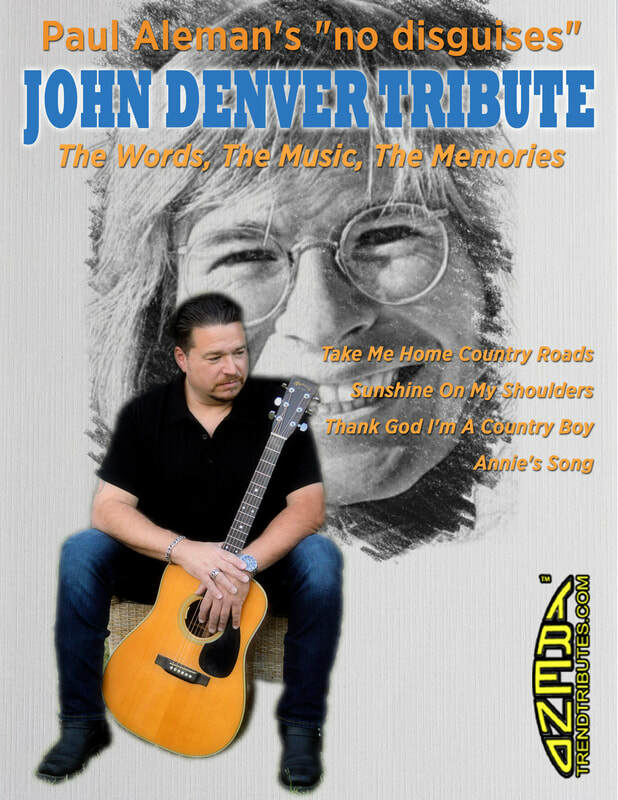 Aleman presents the incredible music and wonderful background stories of John Denver. ​This event is not to be missed!